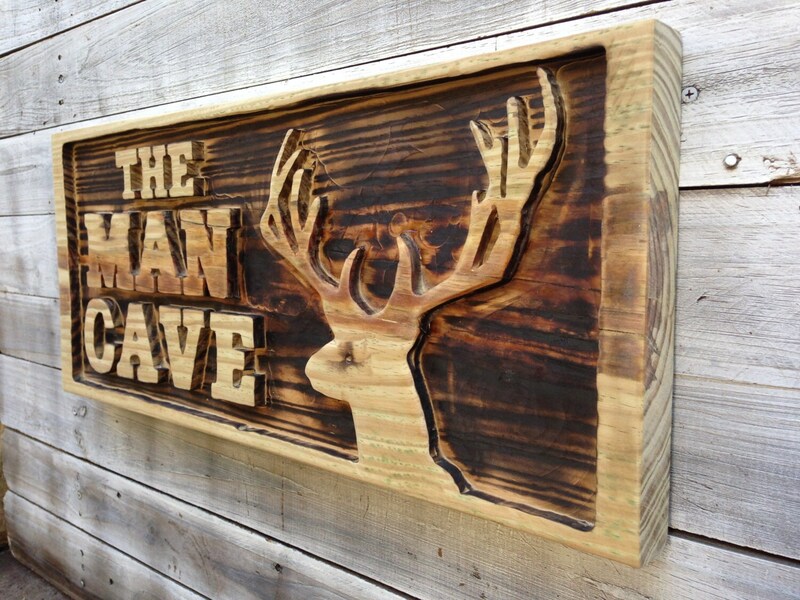 Man Cave Wall Decor, Carved Man Cave with Deer Head Wooden Sign, Pool Bar Decor. Family Housewarming gift. 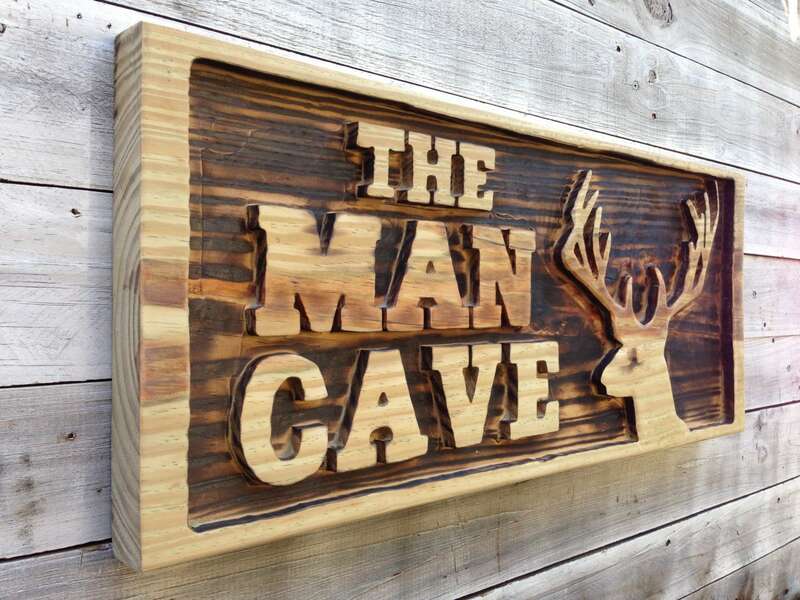 This custom man cave sign is ideal for the male sanctuary, where "guys can do as they please" like a caveman without fear of upsetting any female sensibility about house decor or design. 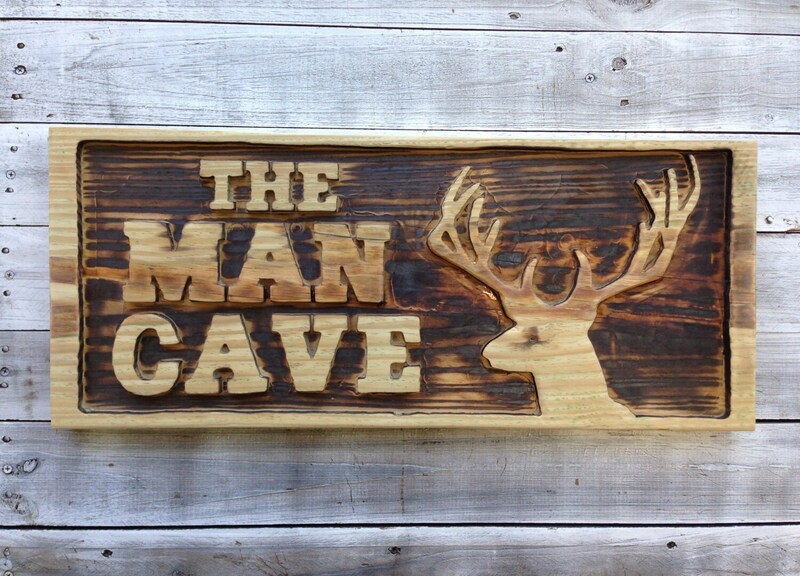 The sign is massive and heavy for the real man. 10lb weight, 26.5 x 11 inches. 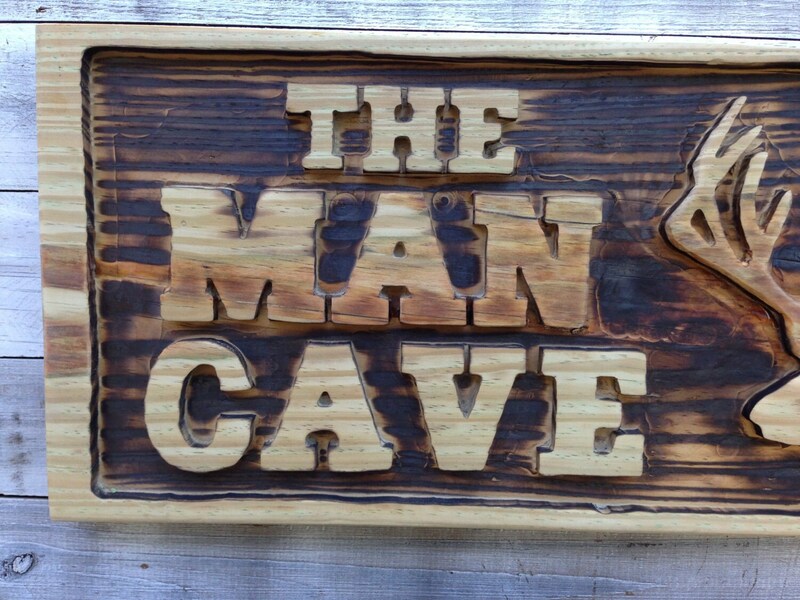 Hand carved from solid Key West Old wood special for you. 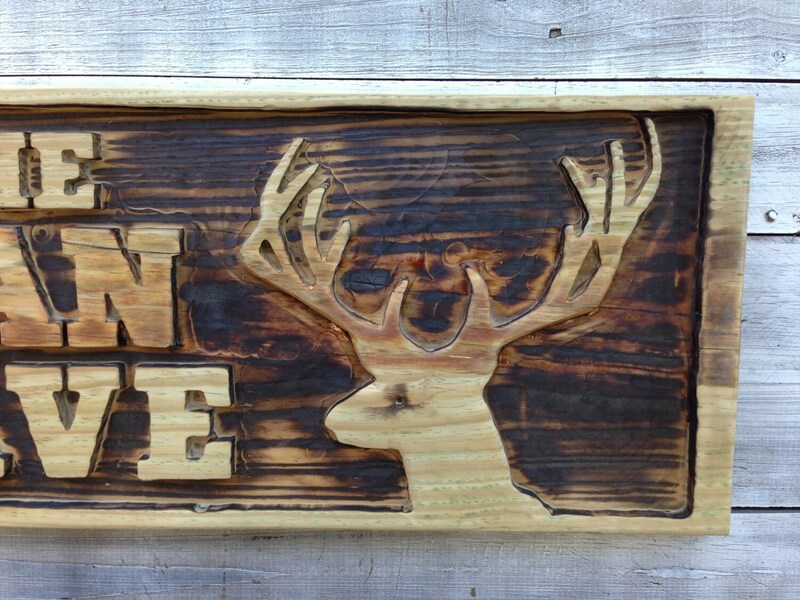 Burned technique make this sign unique and rich beautiful look.